Cats Protection is delighted to have been chosen as a beneficiary of People’s Postcode Lottery, which will help us continue to carry out our important work for cats as well as raise awareness of our work among lottery players and other members of the public. Help us to successfully find loving new homes for more cats, by funding essential Cat Care Assistant roles across England, Scotland and Wales. 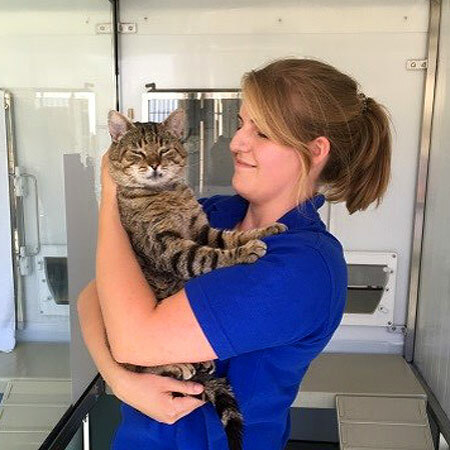 Fund our team of Volunteer Team Leaders at our centres, who are responsible for recruiting and supporting the volunteers who tirelessly devote their time and efforts to the work we do to improve cats’ lives. 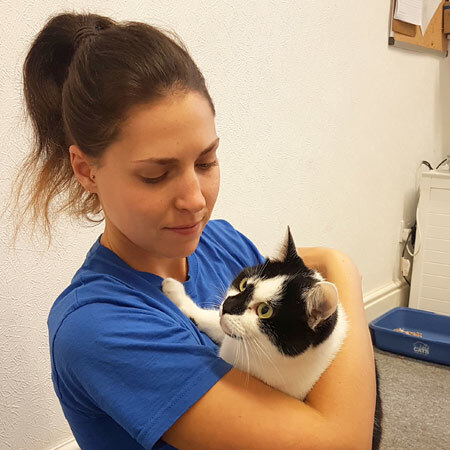 “I have yet to find something more rewarding than spending hours and hours with a nervous cat, getting past the fearful and defensive behaviour to the sweet cat underneath, bringing them one step closer to being rehomed. “It makes our team very proud when the volunteers attribute their successes to skills and experience they’ve gained through volunteering. I can also be there to provide additional support to volunteers who may need this, which can include working with external organisations and support workers to enable our volunteers to realise their potential. People's Postcode Lottery manages multiple society lotteries promoted by different charities. A list of the charities who fundraise with People's Postcode Lottery is available here. The Prize Draw Calendar can be found here. Of every £1 spent on lottery tickets, a minimum of 32p goes directly to these charities, 40p is used for prizes and 28p is paid to People’s Postcode Lottery to cover the expenses in running the lotteries. Based on 2018, People's Postcode Lottery expects to raise over £125 Million for charity in 2019 and estimates the costs of marketing and running People's Postcode Lottery to be approximately £109 Million. Sign up today to play with your postcode for the chance to win! For assistance call us on 0808 109 8765 or visit https://www.postcodelottery.co.uk/about-us/contact-us. Trading address: 28 Charlotte Square, Edinburgh, EH2 4ET. © 2018 Postcode Lottery Ltd.
Postcode Lottery Limited is incorporated in England and Wales and is licensed and regulated by the Gambling Commission (licence numbers 000-000829-N-102511 and 000-000829-R-102513). See licence status here: https://secure.gamblingcommission.gov.uk/PublicRegister/Search/Detail/829. Registered office: Postcode Lottery Ltd, Titchfield House, 69/85 Tabernacle Street, London, EC2A 4RR. Company reg. no. 04862732. VAT reg. no 848 3165 07.